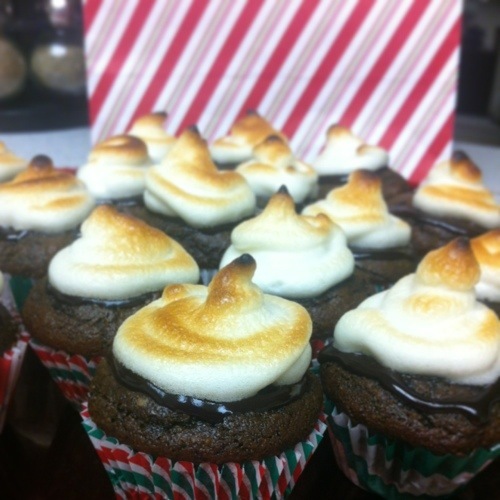 This is just a play off a brownie recipe I found from “southbeachprimal” and made them into mini brownie cupcakes with a little meringue on top. I like that they are small so I can eat more than one and not feel too bad. You can make these into regular cup cakes or just into a pan of brownies, but I thought these would be cute to bring for Xmas eve dinner. Of course I probably eat all the cookies and pie’s, but just in case I feel like being somewhat healthy tomorrow- there are these! There are a few parts to these, the brownie, the chocolate drizzle, and the meringue. 1. Mix all the dry ingredients together well. Once those are mixed, combine all the wet ingredients in a dish, mix together completely, then pour into your bowl of dry ingredients. 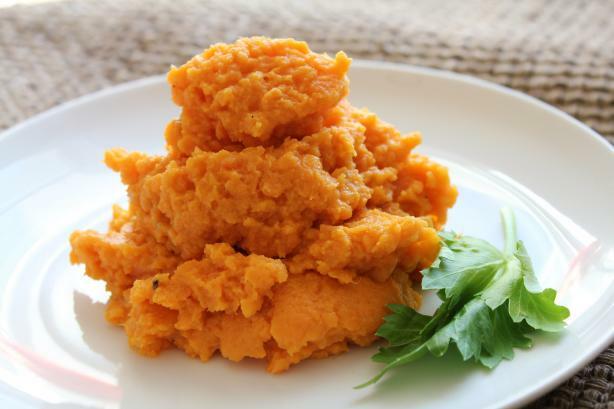 I put all mine in a food processor and let it do its thing, but you can put in a bowl and use a hand mixer too. 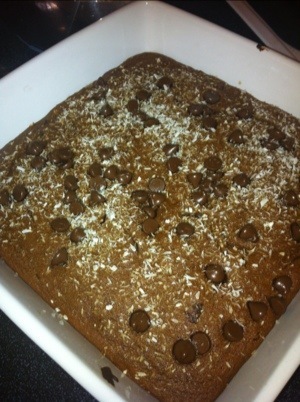 When ingredients are completely mixed together, add the chocolate chips. 2. Spoon about a tablespoon into mini cupcake liners and bake at 350 for about 10-12 minutes. Make sure you don’t overbake them, so check them around 9 minutes. Nothing worse than a dry brownie! Let cool for about 10 minutes in the fridge. 3. Take your chips and coconut milk and microwave them for about 45 seconds. 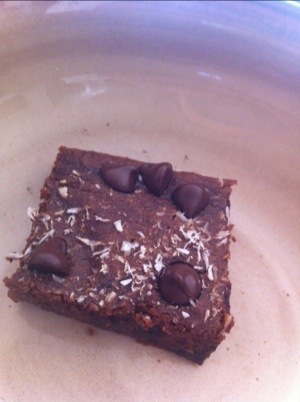 When mixed together, drizzle with a spoon over your mini brownies. Put in the fridge again to let cool while you make your meringue. 4. Take your egg whites and squeeze of lemon and vanilla extract and whisk together with a hand mixer on high. When they form into little peaks you will want to add your honey. Wait! First microwave your honey until its bubbling. Then slowly pour into the egg whites while you are mixing away. They should look nice and shiny and stiff. Take your cupcakes out of the fridge and spoon little peaks onto them. 5. Put them all on a baking sheet and put your oven on high broil. Watch them closely because you only need to set in there less than a minute and they will get nice and brown on top. There you go! 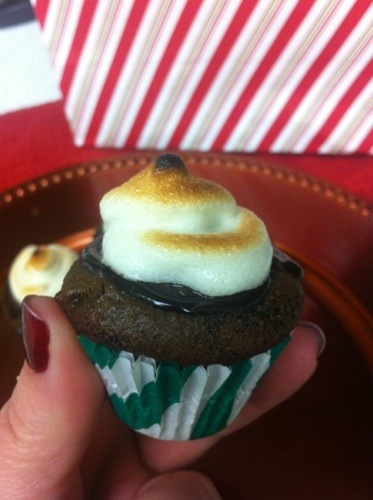 Cute little brownie cupcake meringue treats!